Starting on April 21, 2015 the Google algorithm now favours mobile friendly sites. This means that Google’s mobile ranking factors not only label your site as mobile-friendly, but will also use that to determine if your site should rank higher in the search results on mobile. What Is Mobilegeddon & The Google Mobile Friendly Update? In their own words, Google has said “users will find it easier to get relevant, high quality search results that are optimized for their devices.” They’ve also said that this algorithmic change will have a “significant impact” in the mobile search results, impacting all languages worldwide. Because as of May 05, 2015, Google officially confirmed what many had been anticipating for years: More searches are now happening on mobile than on desktop. Asia, in short, has become a mobile-first continent. In fact, Singapore, Thailand, the Philippines, Malaysia, Indonesia, Hong Kong, China, and South Korea all have higher adoption of smartphones than computers. All of this translates to a considerable volume of mobile search activity across the continent. Shakers & Movers: What happened to search rankings after Mobilegeddon? Desktop SEO visibility does not appear to be impacted by the update, while non mobile-friendly sites and pages took the biggest hit. There was a 21% decrease in non mobile-friendly URLs on the first 3 pages of search results. This means that Google dropped that rankings of sites that it deemed not to be well-optimized for mobile search users, and replaced them with mobile-friendly website instead. The impact is more significant on pages 2-3 of the Google search results, while page 1 results have only seen a 17.3% decrease. This is likely because most website ranking on page are not there by accident. They’re the sites most likely to be actively optimizing their websites to rank well on Google, and so they work on every ranking factor, including mobile optimization, to maintain and ideally improve their rankings. What mobile-friendly criteria does Google want on your website? The Google search engine is boosting the ranking of mobile-friendly pages on mobile search results. 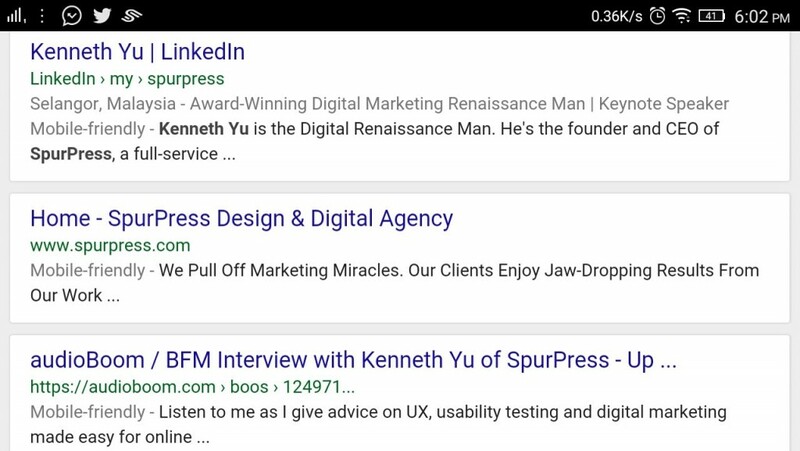 While the mobile-friendly change is important, Google does still use a variety of signals to rank search results. In an interview with Social Times, Colin Guidi, director of SEO at 3Q Digital, reports that a site’s speed and load times seem to be a more significant ranking factor than mobile-friendliness. Mobile-friendly search optimization means that they want to make it easy for searchers to find mobile friendly content. In conclusion: if your site’s pages aren’t mobile-friendly, there may be a significant decrease in mobile traffic from Google Search. Need to optimize your website for mobile or better search rankings? Contact us for a website consultation. Does Google Think Your Site Is Mobile-Friendly? Are you on Google’s good side? Use the following resources to test your website and see how you’re doing.